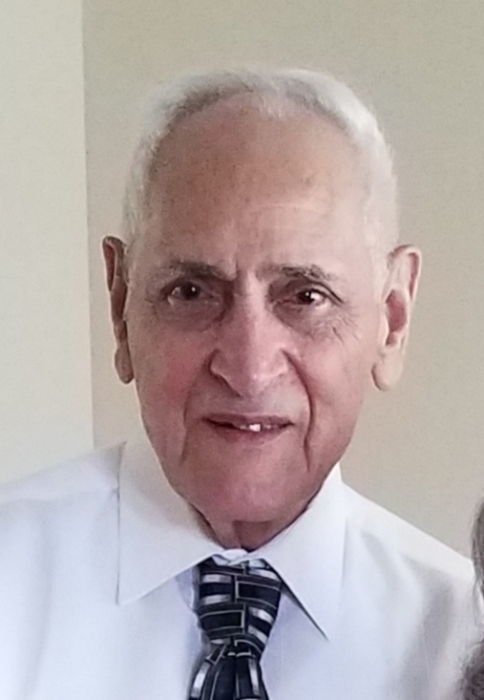 Ernest DiPierro, 89, passed away September 7, 2018. Born in Alliance, he lived in Akron most of his life before moving to Ashland 15 years ago. After graduating from North High School, Ernest served in the U.S. Navy. He retired in 1995 from Ametek Lamb Electric. Ernest was a member of St. Edwards Church in Ashland. He was preceded in death by his parents, Paul and Anna DiPierro; in laws, Silvia and Harold Furbee; sisters, Mary, Delphina, Theresa; brother, Paul, Jr.; sister and brother In law, Perrine and Larry Musci, Sr.
Ernest is survived by his wife of 65 years, Joan; sons, Ron (JoAnn) of Ashland, Roger (Darlene Torres) of Woodbridge, VA; grandchildren, Joe, Amanda, Samantha, Kimberly, Lyndsey, Kelsey, Mathew; great grandchildren, Audrey, Cailyn, Adalynn; sisters, Josephine (Mike) Simms of Rootstown, LeeAnn (Robert) McCrackin of Tallmadge; brother, Robert (Liz) DiPierro of Kansas; sisters in law, Angela (Jim) Haubiel of Tallmadge and Lucy (Paul, Jr.) DiPierro of California. Visitation will be 10:00 a.m. until 11:30 a.m. Wednesday, September 12, 2018 at Our Lady of Victory 73 North Ave, Tallmadge. Mass of Christian burial will be 11:30 a.m. Wednesday after visitation with Rev. Michael Matusz officiating. Interment will be at Holy Cross Cemetery.